I really liked Edinburgh – wished I had more time to explore the city. Unlike its sister London, a modern metropolis, Edinburgh felt like a modern medieval town (is that an oxymoron?) 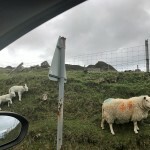 But if you have a short time to travel, I suggest that you spend more time in the Scottish Highlands. Two days in Edinburgh would suffice to get a sense of the best the city has to offer. 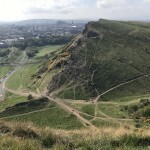 Here are some suggestions for planning a two day itinerary to Edinburgh – hope you find them useful! Following a Sandeman’s tour might actually be the best way to get one’s orientation of the city. The other alternative is to read Lonely Planet, but it isn’t as interactive. The Sandeman’s tour of Edinburgh is pretty good. Without it, I wouldn’t have a chance to visit Tom Riddle’s grave, or get to know the legend of Greyfriar’s Bobby. 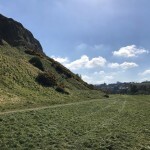 After getting to know Edinburgh, stretch those calf muscles and go for a walk around Arthur’s Seat. 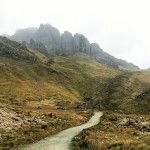 The view is great and what’s great is that there are routes for every type of hiker – the challenging and the easy way up. You could take the second day to do some shopping, near the Edinburgh Waverley Station, or in New Town. Scotland’s National Gallery is located there too! Wikitravel has more info on this. 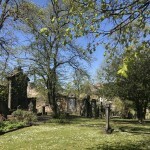 If you’re keen, take the chance to re-visit places highlighted by the Sandeman’s tour – my favourite was the Greyfriars Kirkyard. Is Edinburgh Castle worth visiting? This is quite a common question. 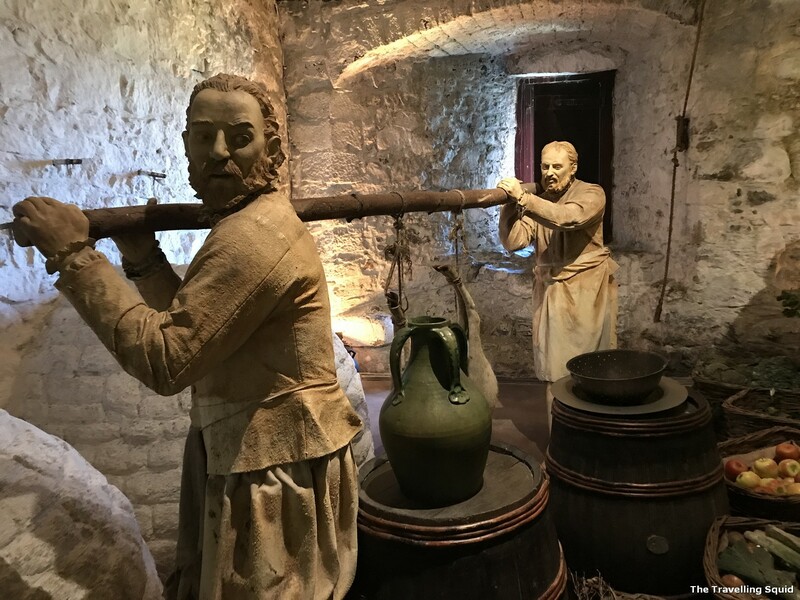 My suggestion is that if you plan on visiting Stirling Castle, which is about an hour’s drive away from Edinburgh, visiting Stirling should suffice. Unless you’re a history buff, Stirling is said to be one of the biggest and (well-endowed) castles in Scotland. It might suffice just to see one castle, just to get a sense of how it was like in the past. If you’re visiting Edinburgh from London, I suggest you take the train. Driving can be tiring and taking the plane doesn’t bring you right into the city centre. The train ride on the Caledonian Sleeper is akin to the cost of a night’s worth of accommodation too. It was pretty comfortable. The choice is clear – choose the Aparthotel Adagio Edinburgh Royal Mile! It’s a relatively new hotel which opened recently – the furnishings in the rooms are lovely too – a huge fridge and homey room. There are a few really good Scottish breakfast places to try out. If you’re looking for something new, head to Cafe in New Town for some authentic French food. I really wished that my write-up on Edinburgh could be more comprehensive. If you’ve a place to recommend in Edinburgh, appreciate it if you could drop a comment in the box below. To me, Edinburgh is a really charming city – its vibe is much chiller than London. The medieval buildings and graveyards were quite enchanting. It is no surprise that this city has produced plenty of renowned writers, scientists and philosophers – it’s hard not to forget that when you come face to face with their statues at every few turns of the street corner. More to come on Stirling Castle and Loch Lomond. Stay tuned!